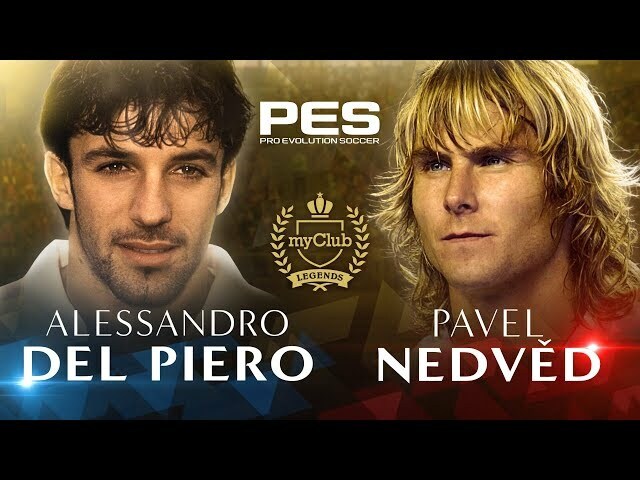 Two legendary players from the 2000s, Pavel Nedvěd and Alessandro Del Piero are coming to the PES series. Talked about as one of the best midfielders of his time, Pavel Nedvěd was known for his energy, extensive range of passing and ferocious shooting ability. The latter earned him the nickname "The Czech Cannon". Capable of being both offensive and defensive, the Czech legend dominated the 2000s, picking up several individual awards, including European Footballer of the Year in 2003. Arguably his best period, Pavel Nedvěd from the 2002-2003 season will be appearing in the game. An Italian legend and a global superstar, Alessandro Del Piero is widely regarded as one of the greatest players of his generation. A technically gifted forward and free-kick specialist, Del Piero is currently the second highest all-time Italian top scorer, with an impressive 346 goals. A winner on the domestic, European and international stage, Italy's beloved "Fantasista" did it all and more. The 1995-1996 season was one of the best in his career and it is this version of Alessandro Del Piero that will be appearing in the game.